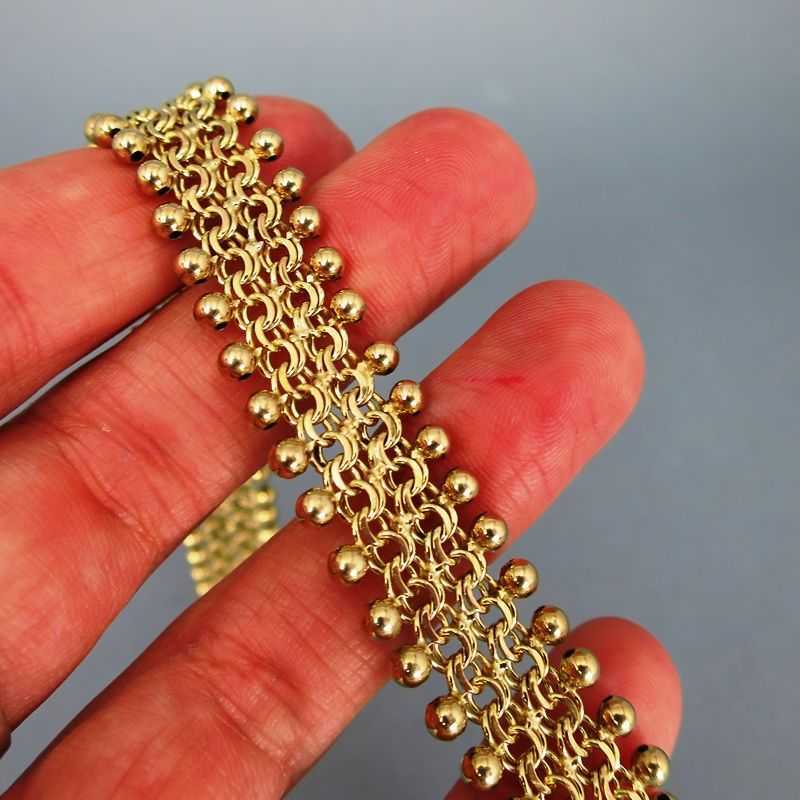 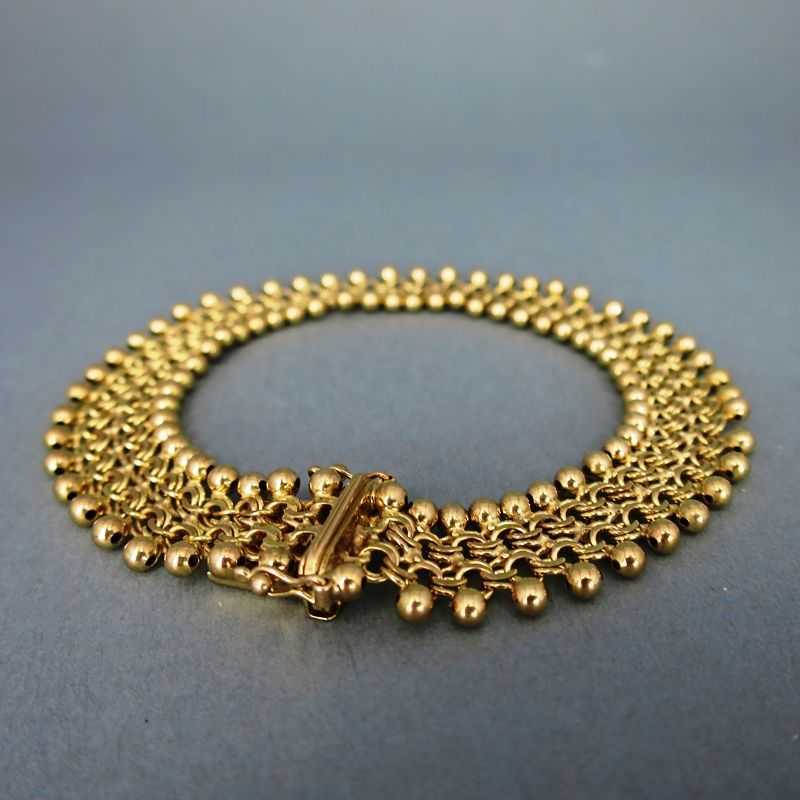 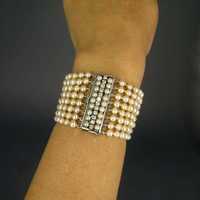 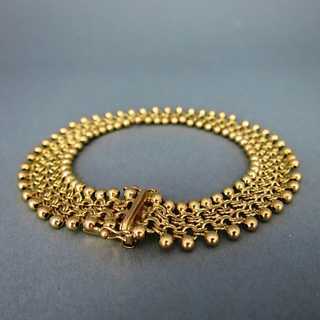 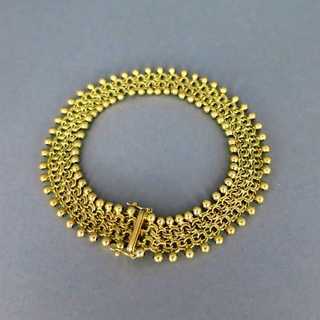 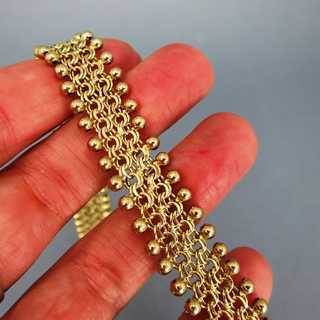 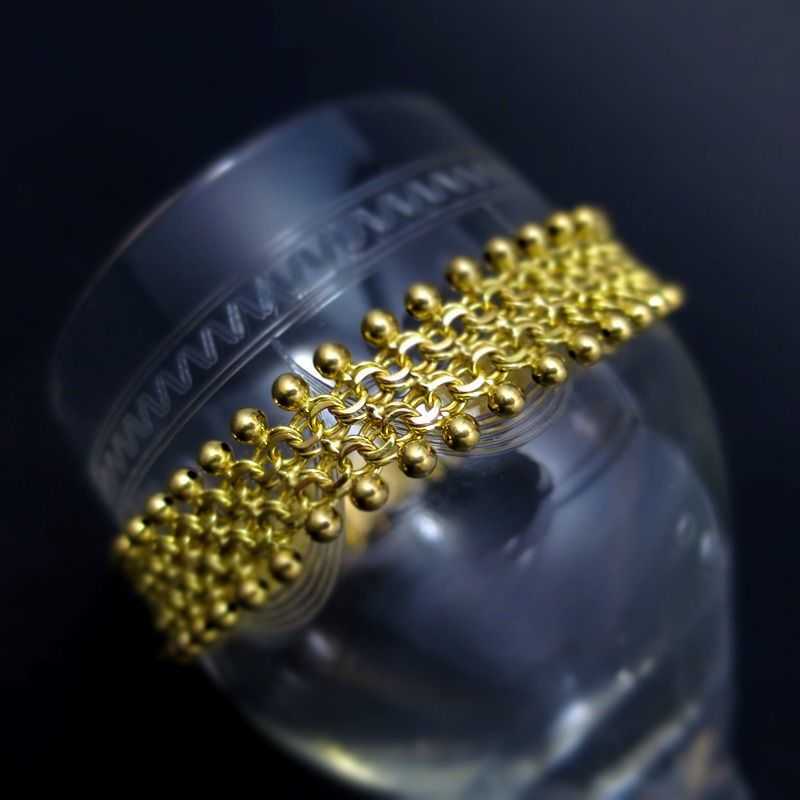 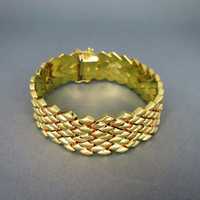 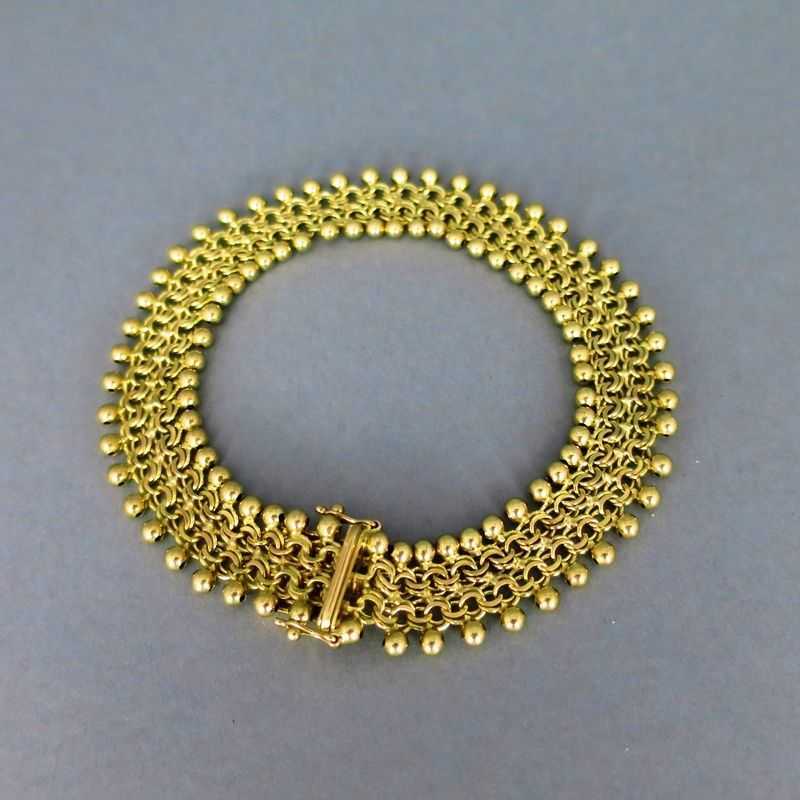 Beautiful lady's bracelet in gold. 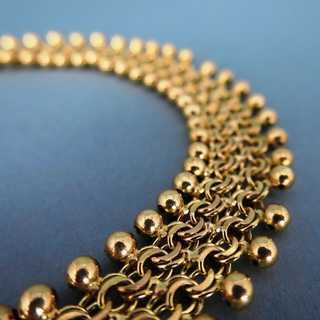 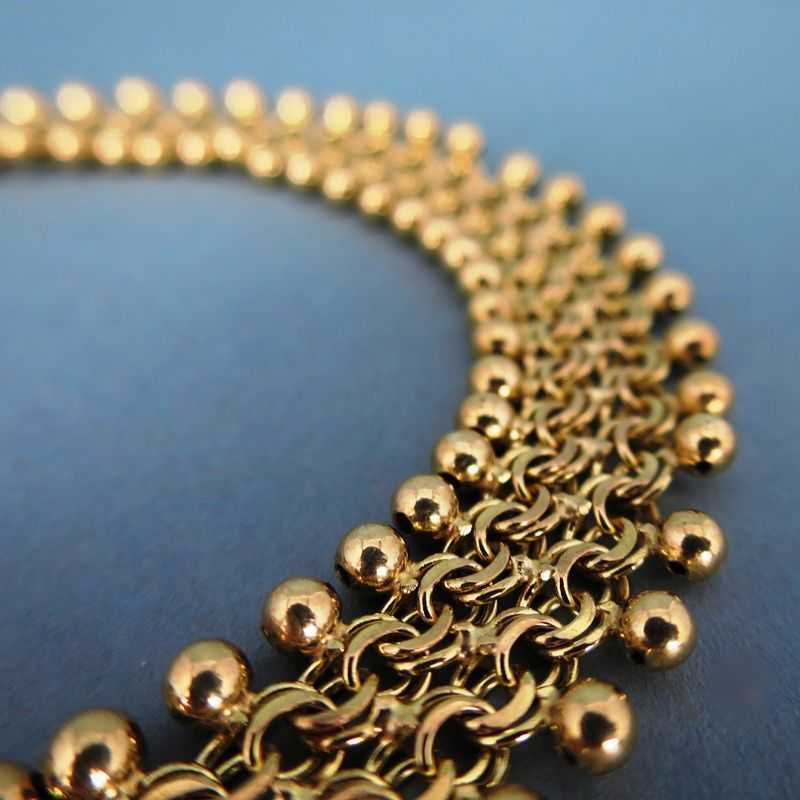 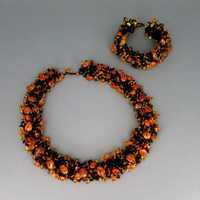 It is composed from wide chain links, woven with each other and decorated with gold spheres on the rims. 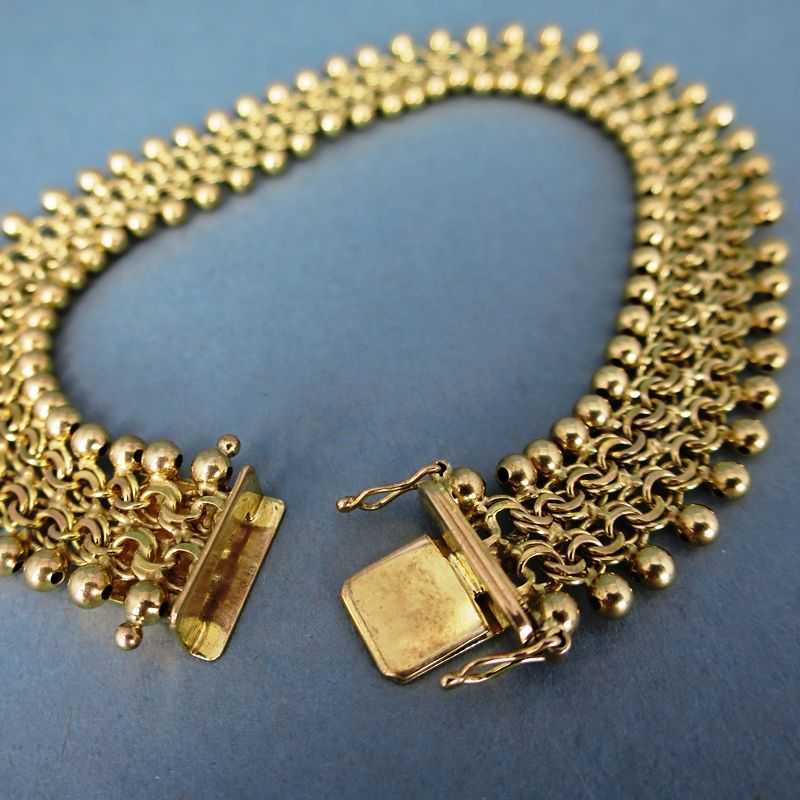 Stackable closures with two safety clasps. 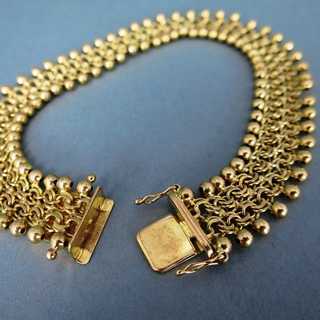 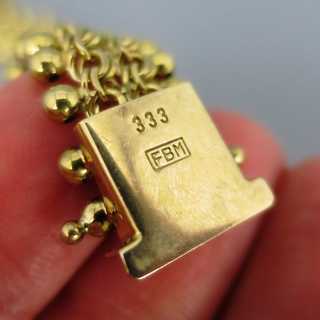 Marked, made by the famouns german jewelry manufactory of Friedrich Binder in Mönsheim.Very good condition.